WineAmerica and Winegrape Growers of America are reuniting for the 2016 Wine and Grape Policy Conference, May 22 – 24, 2016. With a format that maximizes learning, advocacy and networking, only minutes away from Capitol Hill, this meeting is the industry’s opportunity to make its voice heard. 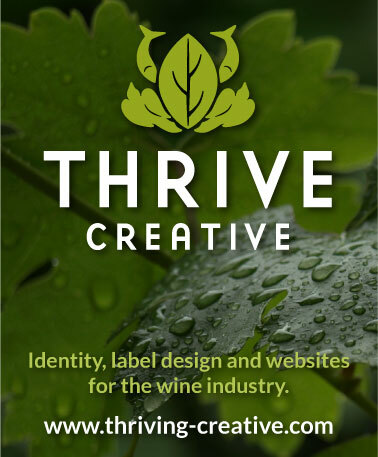 The conference will feature speakers, presentations and insights on the politics and policies affecting our industry; meetings of the WineAmerica Board of Directors and the State and Regional Association Advisory Council; and the “Wines of America” reception, demonstrating the importance of the American wine industry and giving you an opportunity to introduce your wine to your member of Congress. 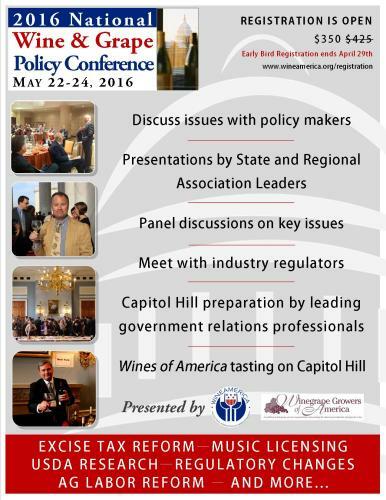 The 2016 Wine and Grape Policy Conference is your opportunity to make a difference about the laws that affect you.